Mandy O'Brien is a body language expert who runs <a href="https://www.youtube.com/channel/UC7n8r27jRnjpYpfyEfBOLFw">a YouTube channel</a> called Body Language Ghost. O'Brien has risen to popularity for her commentary on modern political videos as she gives her opinion on what political figures' body language conveys. A short introduction from O'Brien's website at Bombardsbodylanguage.com says, "My goal is to teach people to be able to identify and see deception in body language. This is useful in all walks of life, from our personal relationships to the deceptions practiced by our politicians & public figures. Maybe it will improve society by forcing dishonest people to become honest, or at least perhaps they’ll be called out when they are not." O'Brien has analyzed recent videos of Trump and Kim Jong Un, Kanye West, Trey Gowdy, and a number of other public figures like Joe Biden and Rod Rosenstein. 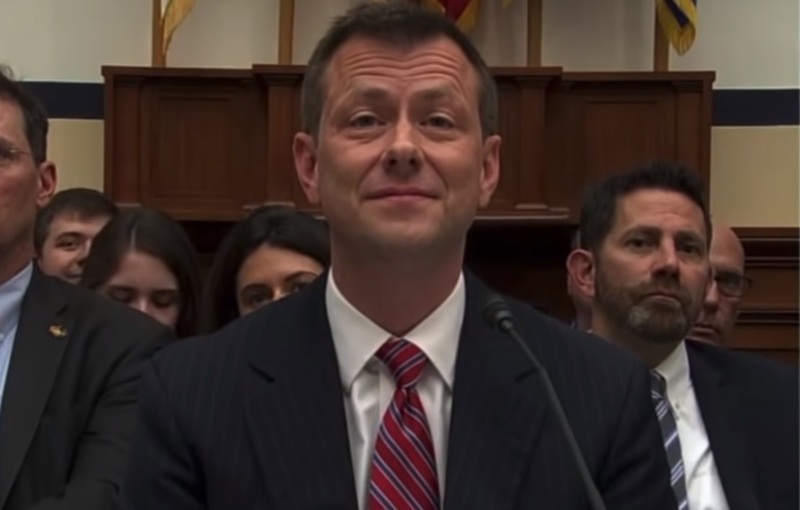 In this video, O'Brien points out obvious signs of disgraced FBI agent Peter Strzok's stress and discomfort while appearing before the house judiciary committee. Strzok is pressed on multiple occasions for an answer but he repeatedly stonewalls the committee and its chairman, Bob Goodlatte. Even ferocious former prosecutor Troy Gowdy couldn't pry an answer from Strzok who cited his FBI handler's instructing him not to respond to questions relating to active investigations. You really have to hear O'Brien analyze Strzok while watching his body language so you can put the pieces together. Strozk is a body language master. He was just showing off all his techniques. Dont look into this too much, it was a 7 hour master class on body language. M K Ultra training at its core makes smirk struck Sttozk a psychopath at best and a murderer at worst.